NOTE: This hand pumps ships directly from the factory to help reduce the price, please email us your delivery address and we will be happy to calculated the shipping charge. Deluxe shallow well hand pump with brass barrel (also called a cistern pump). Will lift (pull) water from up to 22 feet vertically but this distance decreases as the altitude above sea level increases (see chart below).This distance is measured from the hand pump to the surface of the water. Has sealed top chamber to help keep contaminants out of the water. Capable of pumping water overhead up to 30 feet. Develops 15 psi of pressure. Has 1 1/4" female pipe thread in base for water supply pipe. Has 3/4" female pipe thread in discharge port and includes ball type shut off valve. 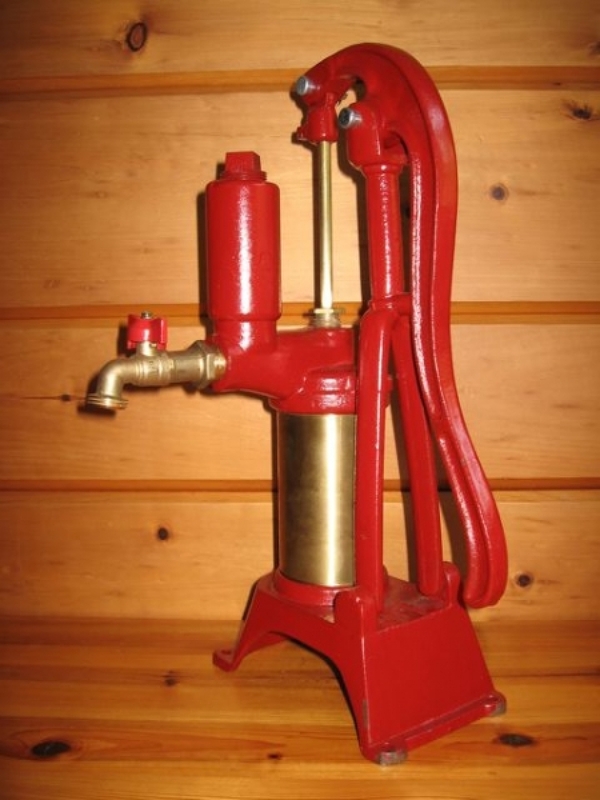 Established in 1983, Rintoul's Hand Pumps has provided quality pump products across the globe for many applications. We take pride in supplying the best products, and are available for all your questions!